We take pride in getting to know you, your vision requirements and your lifestyle needs. At Sergeant Bluff Eyecare, we believe in looking at the bigger picture. Our staff takes the time to get to know you, your medical history and your vision needs and offer a specialized treatment to make sure that you see as clearly as possible. Take a few moments to fill out some information regarding your eye health, and start the process to schedule your appointment with Dr. Uhl today. Regardless of your age or physical well-being, yearly eye exams are extremely important to your overall health. By evaluating the back of your eye, we can confirm the health of your retina and help prevent vision loss. Using non-invasive imaging, we are able to diagnose and treat numerous conditions with little to no recovery time. Whether it’s a foreign object making contact with your eyes or a chemical exposure, we’re professionals at treating the unexpected. Our clinic can help you successfully manage dry eyes through prescription eyedrops or lubricating inserts. Our glaucoma test is typically a part of our routine eye exam, measuring the pressure inside of your eyes. We offer pre and post-op care and co-management for popular eye surgeries, such as LASIK or cataract refractive surgery. Although macular degeneration currently has no cure, we can help slow the progression of the disease. 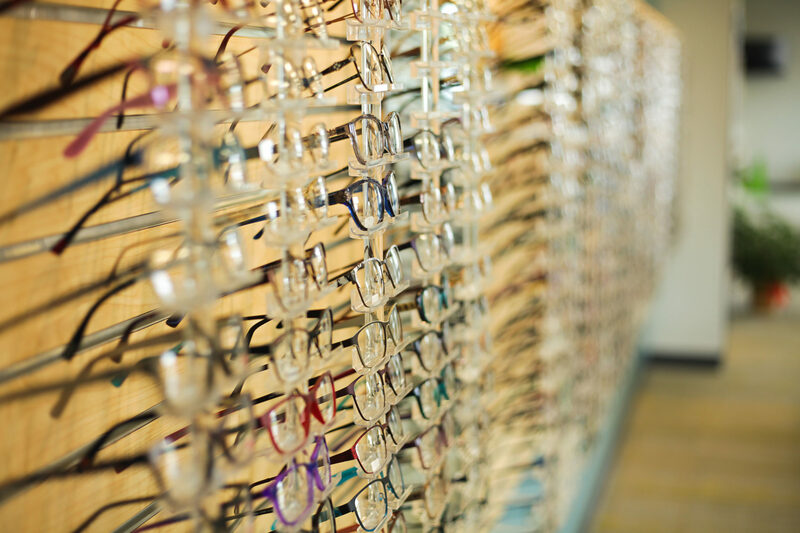 Through surgery and a quick recovery time, we’ll make sure your blurred vision will be a thing of the past. 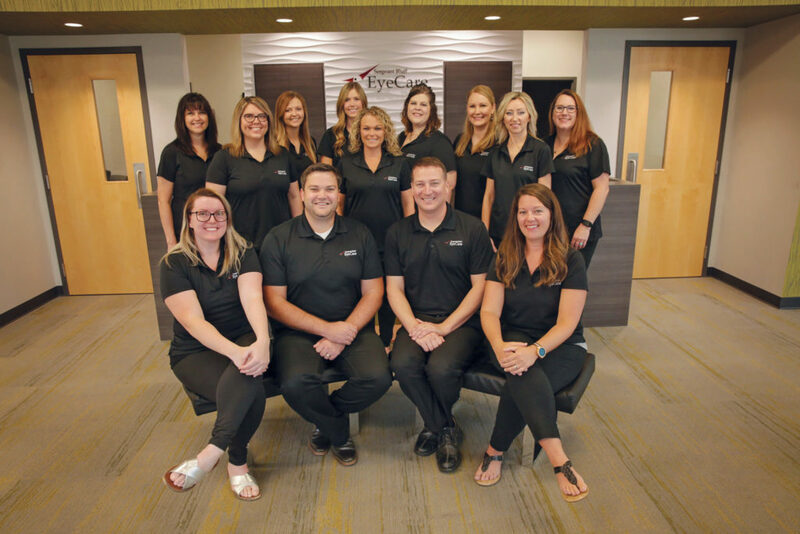 Sergeant Bluff Eyecare opened it’s doors in 2007 and has been a leader in eye health in the Siouxland area ever since. Our eye care clinic specializes in caring for all your vision needs. We handle everything from eye exams and hard-to-fit contact lenses, to computer vision problems, specialty lenses and free consultations for LASIK. Our highly qualified staff leads the way to promote the latest developments in eye care. 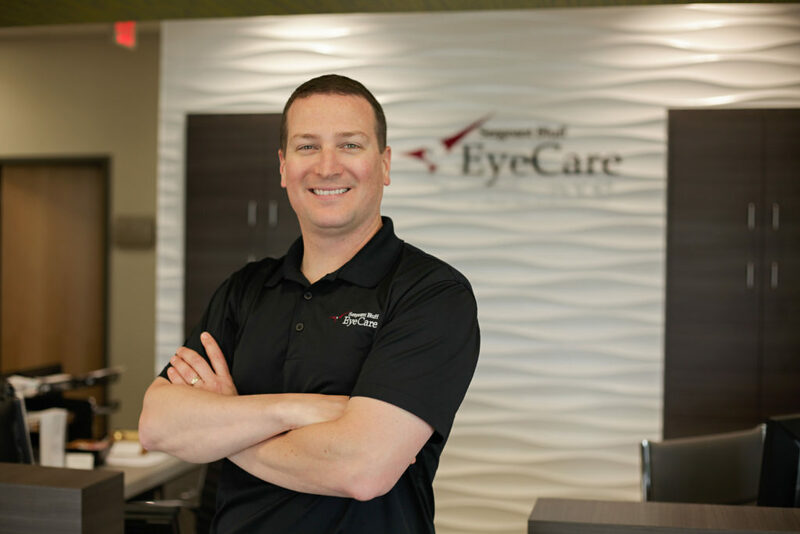 Dr. Benjamin Uhl has been practicing optometry since 2008 and is licensed to practice in Iowa and Texas. Dr. Uhl takes the time to explain the results of your eye exam, describe your options and listen to your eye care needs. Because maintaining good eye health is an ongoing partnership, we encourage you to ask questions and share your health information, which could be vital to monitoring, diagnosing and treating potential vision problems. As your biggest eye care advocate, Dr. Uhl is passionate when it comes to your eye health. Our store is attached to our vision center, making it easily accessible for patients to order glasses or contacts as soon as they have their prescription in hand. We carry an array of designer frames, specialty eyewear and sunglasses.